A one-day event for artists and arts professionals, exploring the use of interactive and networked technologies in the creative process. 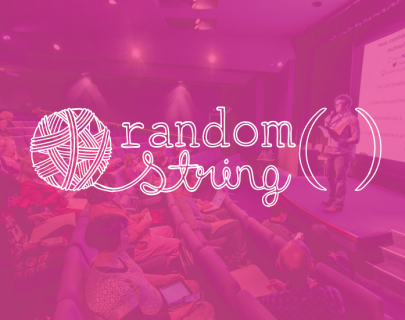 The Random String Symposium gives space for inspiration, discussion and sharing. Hear from cutting-edge artists and technologists from across the UK and overseas, have frank conversations with commissioners, producers and decision-makers about the practicalities of using technology in your work and explore works-in-progress projects from the Random String Fellows and a host of other practitioners. There’s also the opportunity to play and tinker yourselves in hands-on workshops in creative technology and network with other practitioners over free coffee. Contributors include artist, games designer and activist Phoenix Perry; the RSC’s Head of Digital Development Sarah Ellis; Dan Hett, a BBC R&D Technologist with a crippling addiction to side projects; and Matt Johnson, CEO of Bare Conductive. There’ll also be project talks from artists including Nikki Pugh, Antonio Roberts and Juneau Projects. The Random String Symposium will be an unmissable day of inspiration for artists and arts organisations.